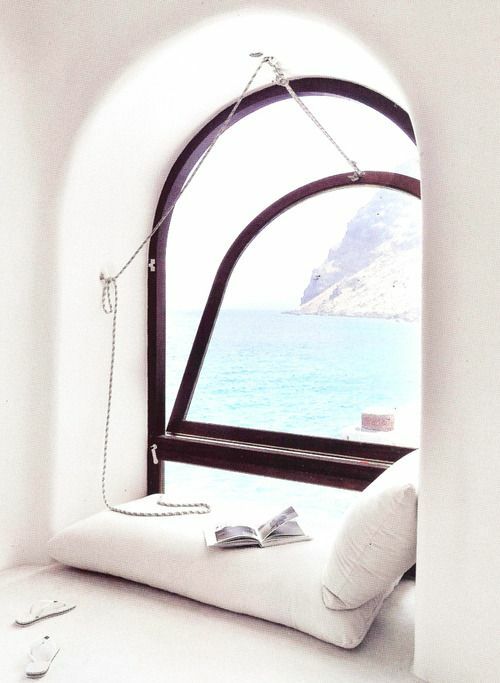 Not sure where this reading nook can be found but isn’t it amazing? The view or the space? I’ll take both. Tags: photo, reading nook, water view. Bookmark the permalink.